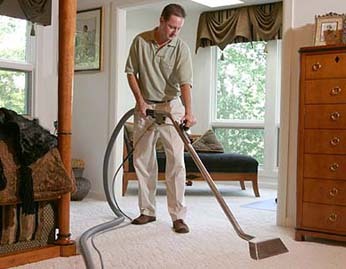 Hiring a residential cleaning company can be an important decision. You are entrusting your home and belongings to someone else. So here are five important questions to ask before deciding on a particular company. You will want to use a company which carries liability and workers compensation insurance. That way if one of their workers becomes injured in your home or if there is a damage caused while the personnel is there, then you are covered. Otherwise the risk can be significant. Can you provide me with a clear and detailed estimate of your residential cleaning services? If you are contracting for cleaning services, you should require that the company provides you with a detailed proposal of the services they will provide to you and their costs. This avoids miscommunication and misunderstanding later on. Are you registered with the Better Business Bureau and can you provide me with references? A reputable company will typically be registered with the Better Business Bureau and be happy to provide you with this information. You can then check into any complaints registered against them. Additionally the company should be happy to provide you with references and recommendations from other customers. As them about their hiring practices. Do they screen their workers and check their backgrounds? How are their workers supervised? And what kind of training do they receive? These are all important considerations. Typically a company which has been in business for three or more years operates their business in a reputable and effective manner. There are other considerations to keep in mind but these questions are a good start in helping you to make the best possible decision when hiring a residential cleaning company. Your Local Residential Cleaning Service!